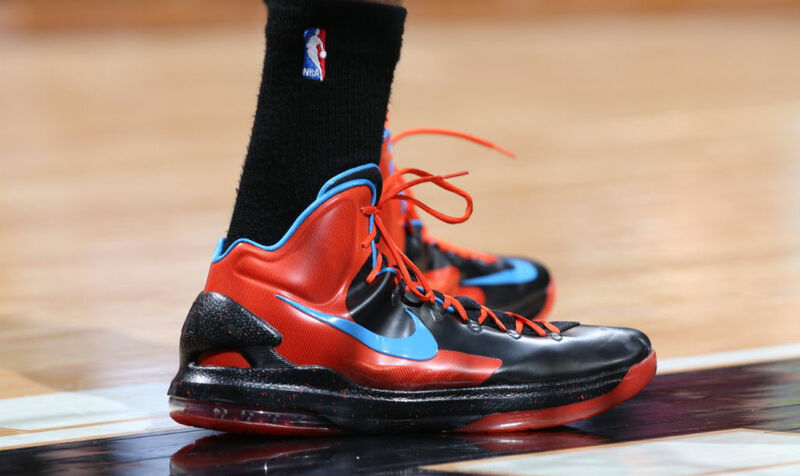 Set to transition into the Elite version of his signature shoe for the postseason, Kevin Durant is still breaking out new colorways of the Nike KD V in the last games of the regular season. Last night in Minnesota, KD rocked this 'OKC Away' Alternate PE colorway, which features a glossy black and orange upper, speckled midsole and heel counter, Photo Blue accents and a translucent orange rubber outsole. 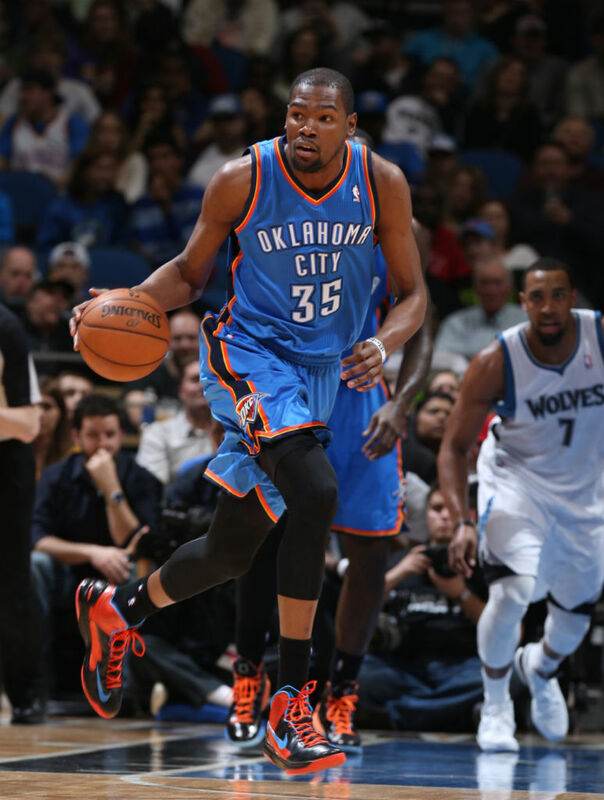 Durant went off for 36 and 7 in his new kicks, but the Thunder fell to the Timberwolves by a score of 101-93.